Predicting trends in publishing is a risky venture, but there seems to be a growing desire to read narrative non-fiction; not only memoir, biography and travelogue – always popular – but books on every conceivable subject. 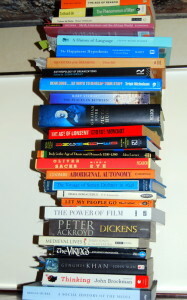 Over a recent four-week period, The Guardian Weekly reviewed twenty books of which fourteen were narrative non-fiction. Topics ranged widely: living with a pet owl; a history of atheism; myths of modern leadership; what’s wrong with the banks; a celebration of nature, and colonial politics at sea, to name but a few. Disparate in subject though they are, they all share four key criteria for narrative non-fiction (a broader definition than ‘creative non-fiction’). 1. With varying success, they are all written as stories: narratives that unfold in ways that engage the reader with evolving plot lines acted out by credible ‘characters’ – whether owls or pirates (both those in boats and others in banks). 2. Through deep research, they draw together and synthesise sometimes unlikely bed-fellows, revealing new perspectives, or posing entirely new issues from older themes. 3. They make sense of ideas and events we take for granted or avoid as too ‘dry’, employing pace and suspense to make even economics and urban architecture appealing and relevant to our lives. 4. Though supported by verifiable facts, the authors use imagination in style and structure, encouraging our emotional engagement, allowing us to ‘feel’ beyond our own experience. Emotional engagement with readers was the reason I wrote my most recent narrative non-fiction work – an interweaving of history and literature from prehistory to the digital age – as a ‘biography’ of Story, a ‘life’ of Story expressed through the epics, verses, novels, folk tales, legends and tales of storytellers from around the world. (You can read more about The Biography of Story, A Brief History of Humanity here). Because of the book’s broad scope, it seemed to touch on several genres, but the official category turned out to be ‘cultural/social history’. The most interesting narrative non-fiction often crosses genres – travel memoir, for example – but a book I enjoyed recently, employed a less usual combination in a travel biography of Genghis Khan. In Genghis Khan: Life, Death and Resurrection (Bantam Books 2004), John Man overcomes the problem of limited and contradictory data, common for writers of such distant historical biography, by insightful analysis of the material he could access, and with the imaginative language and style in which he unrolls the story like a carpet seller in an oriental bazaar. Without diaries, correspondence or interview transcripts, an author cannot see inside a subject’s head to know his feelings, intentions and motivation. John Man had none of these, but he delved deeply into historical and mythical/epic sources for specific details with which to paint a vivid picture of Genghis’ temperament; at times using inspired surmise with honest phrases such as, ‘I imagine him standing on this hilltop…’ and, where necessary, cautionary words like ‘probably’ or ‘may have’, which strengthen the account’s authenticity. His subject comes even more ‘alive’ where the author shares his own travels in Mongolia and elsewhere in Central Asia as he follows Genghis’ footsteps across vast prairies, squelching through bogs, and scrambling up sacred mountains. While the rest of the book is written, unsurprisingly, in the past tense from a third person point of view, for the chapters on his travels, John Man employs a first-person voice, and occasionally, the present tense. This gives the reader a sense of ‘being there’, interwoven with informed speculation as to how Genghis Khan felt about the place and about his ‘mission’, when/if he had stood where we stand. Theme is always crucial to the appeal of non-fiction. This account has two: an explanation of the growing cult of Genghis Khan as a form of divinity – his ‘resurrection’ – and the rehabilitation of his global reputation, to being more than a bloodily brutal barbarian. It is not entirely clear how much of the local reverence arises from religious fervour, and how much from a realisation of tourism potential – China also claims him as a national hero. As to Genghis’ reputation: brilliant strategist though he was, and one who knew when to run and hide to save himself for another day, if the ruler of a city did not submit to him quickly enough to satisfy his ego, he simply slaughtered the population. I cannot share John Man’s admiration of him which, at times, comes across as ‘Boy’s Own’ hero worship. The fact that so many modern megalomaniacs, also believing themselves protected by ‘God’, are causing carnage among innocent civilians, destroys any scrap of appreciation I might feel for their skills and foresight. But perhaps a better understanding of such obsessive, ‘psychopathic’ leaders can help us to thwart their ambitions, and that is one of the benefits of reading narrative non-fiction: if it is well researched, we don’t have to agree with the author’s views in order to gain something from the experience. 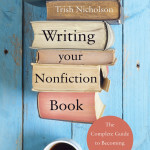 All of these key style and structuring aspects of narrative non-fiction, as well as refining a topic idea to find a slot in the market, selecting publishing options, and creating a marketing strategy, are explained in Writing Your Nonfiction Book: the complete guide to becoming an author, providing detailed, step-by-step mentoring, and available as a paperback or an ebook. If you found this post useful, please share it with others. Thank you.